BRUSSELS - The Netherlands together with Aruba, Bonaire and Curaçao wants to consult with Venezuela again. This new consultation round will take place after the European Union has imposed sanctions against Venezuela due to the political crisis in that country. 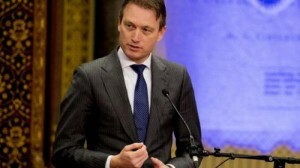 According to Minister Zijlstra of Foreign Affairs, a new consultation is necessary because the South American country links the EU sanctions to the blockade issue between the ABC islands and Venezuela. Venezuela has been blocking all traffic with the ABC islands since January 5 because, according to President Nicolas Maduro, “people are smuggling valuable items and food from Venezuela to the islands”. The EU sanctions apply to seven high-ranking Venezuelans. Click here for the list of individuals sanctioned by the EU.